Political pressure and financial concerns have stalled the implementation of Amman's bus rapid transit project. Photo by Evgeniy Zotov. The Greater Amman Municipality (GAM) may no longer be pursuing a bus rapid transit (BRT) system because of opposition from within government circles, according to anonymous sources interviewed for an article in the Jordan Times. The major transport project has received a positive assessment from a government-appointed review committee, but recently the committee has faced “political pressure” to drop the project altogether, another article reports. Amman Mayor Omar Maani showed similar enthusiasm in the initial stages of the project. “The public transportation sector in Amman will see tangible progress in quality in the next four years,” Maani said in an interview with the Jordan Times. Maani added that the BRT will show improvements in the rehabilitation of sidewalks and car parking spaces. The initial plans of the BRT called for three routes, totaling 32 kilometers (20 miles.) The BRT service was designed with premium, high-capacity buses running along Amman’s busiest corridors on exclusive and completely segregated lanes, each one carrying 120 passengers and running on three-minute intervals during rush hour. GAM secured a $166 million loan from the French Development Agency to finance the BRT’s implementation, and construction began last year. According to an anonymous source from the GAM, the project faces opposition because of fears that the BRT will add to the existing financial burden of the municipality. GAM’s budget for 2011 was approved to be JD406,556,000 (about US $573 million) with a deficit of JD11 million (about US $16 million). During the budget approval, GAM also adopted a financial policy to reduce the budget deficit to JD5 million (US $7 million). 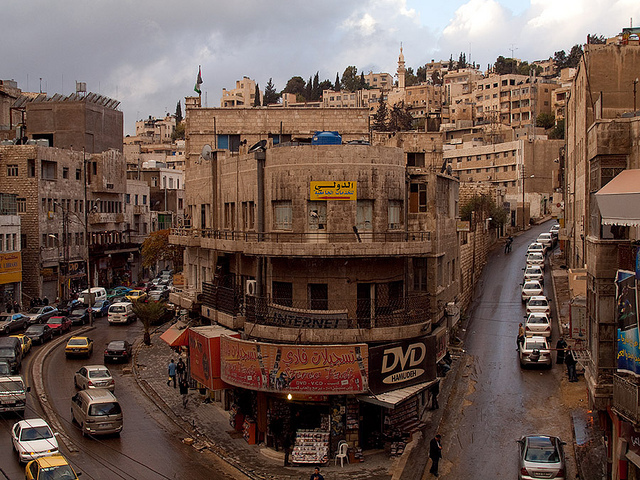 When the Mayor of Amman reviewed this budget back in 2010, he accounted for the BRT project. The budget was also meant to focus on other projects that sustain and implement open and bright roads, enhance sanitation and preserve the environment. The project was expected to be operational in 2012 with a capacity of 7,000 passengers per hour in each direction. The system was anticipated to have a major impact on reducing traffic congestion. Correction, 8/11/2011: A previous version of this post incorrectly stated that the Greater Amman Municipality (GAM) is no longer pursuing a bus rapid transit (BRT) system and that the project was terminated after a year of construction.